Enhancement plans aimed at making Kielder Water & Forest Park one of Britain's leading visitor attractions have been unveiled. This is the latest in a series of developments by Northumbrian Water, aimed at meeting demand from the increasing numbers of visitors wishing to relax in one of the country's most picturesque spots and hoping to gaze at stars in Europe's largest Dark Skies park. The new lodges will add to the award winning leisure offer at Kielder Waterside Park and will take the number of lodges on site to 50, giving an estimated £2m boost to the Northumberland tourism economy. Maxine Mayhew, Group Commercial Director at Northumbrian Water, said: "This is the start of an exciting time for Kielder and for Northumberland, as we embark upon the enhancement the park. It is our aim to make Kielder Water & Forest Park the ‘Best in Britain’. 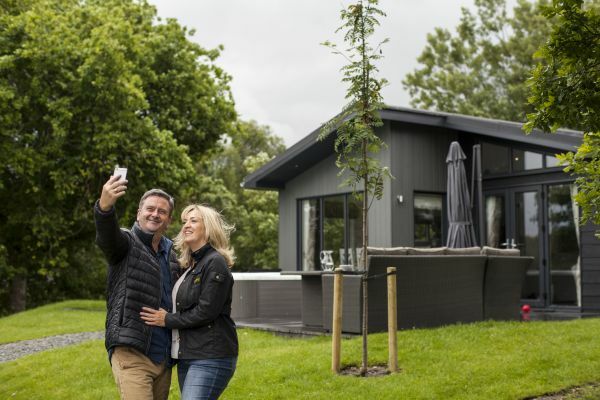 The new five star lodges boast features including a swim spa, star gazing pods, BBQ huts, hot tubs, games consoles, bluetooth speakers, underfloor heating and a deck/patio area. Sleeping up to six guests, the lodges also benefit from such options as early check-in and late checkout, luxury toiletries and more. ​​​​​​​​​Councillor Val Tyler, Cabinet Member for Arts, Leisure and Culture at Northumberland County Council, said: “Northumberland’s tourism economy is worth £766million and supports 11,000 jobs, making it the second largest employment sector and also the fastest growing. The news comes just a few months after the team at Kielder was named Hoseasons’ Best Relax and Explore Location in the North of England at the self-catering specialist’s annual awards ceremony.